If you are like me, you love a good book. Not only that, you probably enjoy recommending good books to others. Let me do just that for you today. 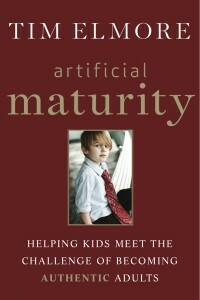 Tim Elmore has written an excellent work called “Artificial Maturity”, a book dedicated to assisting educational leaders in understanding the challenges facing the current generation of students and to provide resources in helping them respond in more effective ways. I’ve been greatly enriched by his insights and research. If you get a chance to pick up a copy or read his daily blog, you’ll be glad you did. You may wish to check out his website at “Growing Leaders” for more info. Besides sharing this excellent resource, I mention his book because I feel it touches on an issue that is at the very heart of what we do through the diverse educational ministries around our Region. We read in Ephesians 4:12-13 that God has given leaders to the church with the explicit purpose “…to equip his people for works of service, so that the body of Christ may be built up until we all reach unity in the faith and in the knowledge of the Son of God and become mature, attaining to the whole measure of the fullness of Christ.” With words like “equip”, “service”, “build up”, “knowledge” and “become mature”, it’s clear that much of our God-given purpose is to lead others toward maturity in Christ. And I believe it’s been with this emphasis that much of our education-related activities have been developed. In light of Elmore’s research, it seems that we must not only contend with the challenges of bringing about spiritual maturity but, to a certain extent, developmental and emotional maturity as well. As disconcerting as this may seem at times, I have found great comfort in 5 simple words that the Apostle Paul expresses to the Ephesian believers in the wake of equally difficult or worse conditions in his generation. What powerful verses! I would like to briefly reflect on this insight, knowing that it will serve us well as we endeavor to lead lives toward maturity in Christ. As we begin, I think it is worthwhile to comment briefly on the city of Ephesus. Much could be said about this city, but for the sake of this brief article, I’ll simply mention that it was a hotbed of pagan temples, a center of political and economic power, and a city known for persecuting early believers. Now, if it was possible for these early Christians to grow in Christ in such an environment, I am encouraged to believe that our students will be able to do the same. So, what can we learn about “speaking the truth in love” from the Ephesians? Let’s break this simple phrase down into its two key parts since this is what Paul does for the remainder of Ephesians 4 and 5. If the Ephesian believers are going to reach maturity in Christ, they will need to experience the truth of God in a powerful way. Paul makes this clear as he unmasks the current thinking of the Gentiles, as he describes the ultimate consequences of a life lacking truth. In verses 17-19, Paul paints a picture of one being separated from the very life of God, lost in the darkness of their “understanding” and being given over to life-controlling and destroying behaviors. Sound similar to our culture today? 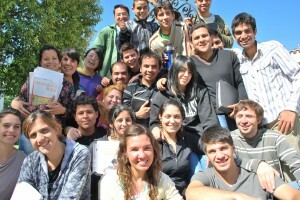 I am privileged to serve at the Instituto Bíblico Mediterráneo in the city of Córdoba, Argentina. As we grapple with these issues, we’ve embraced the value of “relevant biblical teaching”. For us, this means that we do our best to evaluate all that we say and do by asking ourselves two simple questions: First of all, the obvious: is it biblical? What does God’s word say concerning this matter? And second, are we explaining how this biblical truth intersects with the issues facing the church presently? This is not easy, though necessary if we hope to lead others toward maturity. In fact, Paul describes the task of speaking and teaching the truth as a requisite in the process of having our minds renewed, as we put off of the old self and put on the new (Eph. 4:22-24). May I challenge each of us today to evaluate how we are teaching and speaking the truth of God’s word in our various contexts? What areas are needing your immediate attention? Can you imagine how our training centers, Bible schools and countries would be impacted by a constant flow of teaching that is both biblical and relevant? As important as it is to speak and teach God’s truth clearly, this is only half of the story. In fact, most of us are probably pretty good at speaking and teaching, but Paul introduces a balancing element to truth that is equally needed as we bring about maturity – and that is love. It would be so much easier to just give truth to people as we happily go on our way, leaving the results with them. But that rarely works. What does work, however, is the beautiful combination of communicating God’s truth with the irresistible quality of genuine love. What a powerful impact this would have on all of our training centers! Paul begins chapter 5 by inviting the Ephesians to become imitators of God. Isn’t that what we really mean by growing in maturity? Doesn’t it simply mean becoming more and more like Christ? As Christ lived a life of love, shouldn’t those who are becoming more like him do the same? What does this look like? We read in Ephesians 5:2 that “Christ loved us and gave himself up for us as a fragrant offering and sacrifice to God”. In other words, Jesus did for us what we couldn’t do for ourselves. He took upon himself our deepest need (that is, our separation from God) and placed it above his own (that is, his suffering on the cross). A call to love others is no less than a call to die to ourselves and to place the interests of others above our own. It’s interesting to note that the sins that follow in these verses are systemic of those who have placed self upon the throne of their lives. We can see this in the example of sexual immorality that Paul mentions. Isn’t sexual immorality at its core simply saying, “I’ll do what I want, when I want, with whom I want”? In other words, self, not love, is the motivating factor for many. However, for those who are becoming more like Christ, love is what should motivate us as we relate to and interact with those around us. How can we flesh this out as missionary educators? Let me share a personal example. 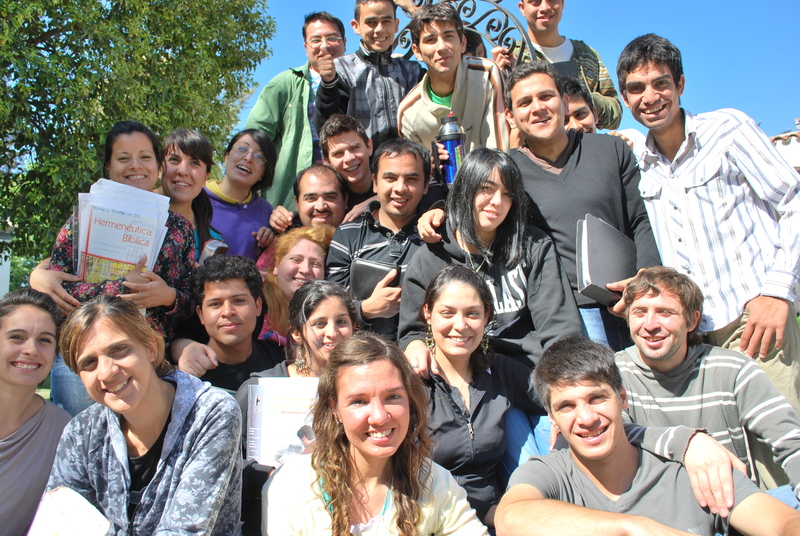 One area where I have seen application at the Bible school in Cordoba is in our attempt to weave into the environments on campus opportunities for students to serve and display love for one another. This is best reflected through our constant focus on becoming an “authentic community”. In fact, we’ve identified this as another one of our core values. I am convinced that the Bible teaches us that life happens best when it happens in the context of community. The residential nature of many of our Bible schools provide ample opportunities for students to develop healthy relational habits, work through differences and learn to practice love in deeper ways. All of which are necessary lessons for a fruitful and effective ministry. Another example of this has been our commitment to hold regular small group activities with our students. During these times, students process their experiences on campus together, sharing topics related to ministry and life. We conclude these times with an eye on application and how to integrate the lessons learned into our daily lives and ministerial context. Through personal interaction and transparent relationships we are convinced that we are helping pave the path toward spiritual maturity for our students. As we embrace this call toward spiritual maturity as an integral part of our ministry role in Latin America, I’d like to encourage us to follow Paul’s example among the Ephesian believers. Paul understood the context of these believers and their challenges. He knew that the only way for them to reach maturity was to have an encounter with the truth of God found only in Jesus Christ. With so many exciting ministries around our Region committed to proclaiming God’s word faithfully and fully, I believe we are on the right track as we explore how to accomplish this more effectively. Let us also understand that truth by itself is only half of the solution, we must remember that at the heart of our teaching, training and service is the call to love. May God grant us wisdom as we lead our students and others in our respective spheres of influence toward true maturity in Christ. 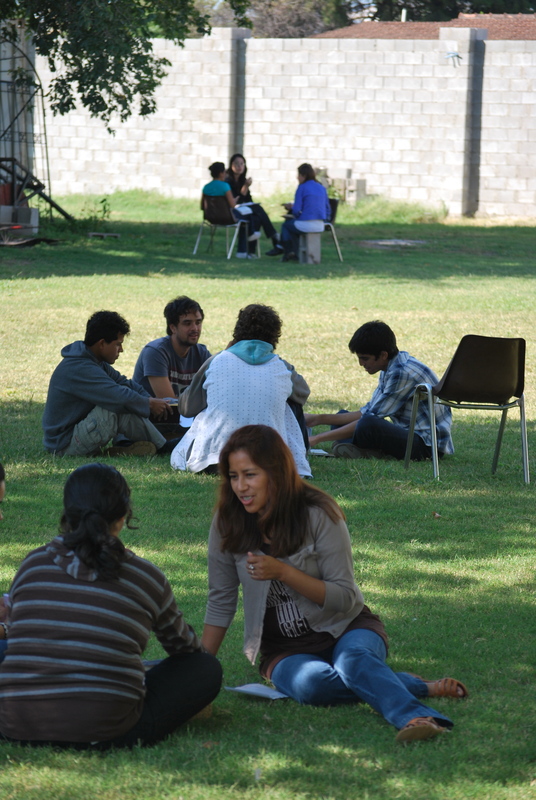 How can we impact our training ministries? I believe one way is to remember these 5 simple words: “speak the truth in love”. Thanks Steve for a stimulating article and touching on a subject of which we need to be reminded often. I also appreciated your article, Stephen! 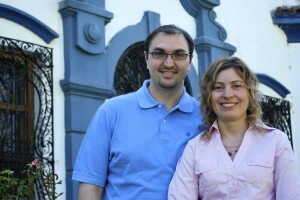 Those 5 words are a great guide as we reflect on what we should do in ministry in Latin America. Thanks!